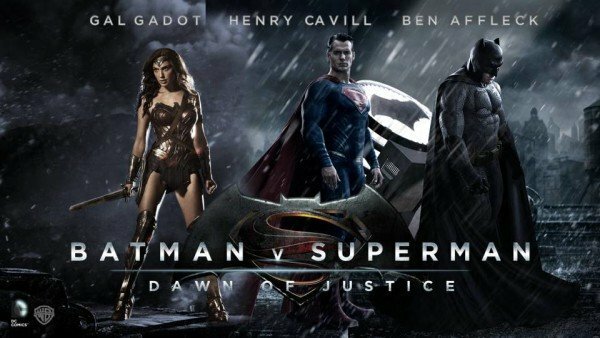 Home Tags Posts tagged with "warner bros"
Batman v Superman: Dawn of Justice has taken $424 million at the global box office in its first five days despite poor reviews. The global total – the fourth-highest ever – included $170.1 million in the US, a record for a March debut and the sixth-highest US opening weekend. Batman v Superman brings the two superheroes together for the first time is a welcome success for Warner Bros.
Warner Bros has been hit by a series of expensive failures such as Jupiter Ascending and Pan in recent months. The DC Comics adaptation, which cost more than $250 million to make, was Warner Bros’ second-highest international opening after Harry Potter and the Deathly Hallows: Part 2. Star Wars: The Force Awakens still holds the record for the biggest box office debut weekend globally, with ticket sales of $529 million in December 2015, including $248 million in the United States. Warner Bros has decided to review its promotional campaign for disaster movie San Andreas following last week’s earthquake in Nepal. Spokesman Paul McGuire said the film studio wants to ensure it is sensitive to people affected by the April 25th tragedy. More than 6,000 people died in the 7.8-magnitude quake, and tens of thousands have been left homeless. San Andreas, which stars The Rock, is set in the aftermath of a devastating earthquake in California. 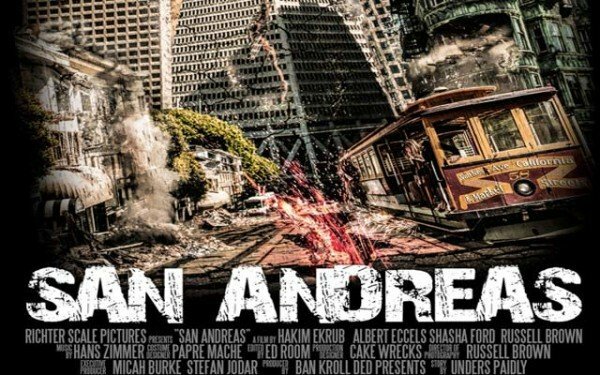 Its trailer features scenes of Los Angeles skyscrapers collapsing and a massive tsunami bearing down on San Francisco’s Golden Gate Bridge. However, Warner Bros will stick to the original release date of May 29th, but will revise its publicity material. San Andreas promotional materials will now include information about ways in which people can participate in relief efforts. A planned public service campaign, giving tips on how to prepare for natural disasters, will also be accelerated – with additional information on how to support relief efforts in Nepal. Warner Bros’ parent company, Time Warner, will also match any donations its employees make to disaster relief. Trailers and poster art for San Andreas, however, will not be changed, according to Variety. Warner Bros is not the only studio to reassess its plans following Nepal earthquake. Universal Pictures is releasing Everest, a non-fiction account of a tragic 1996 expedition, in September. With 19 people killed on Mount Everest in Nepal earthquake, Universal Pictures is also considering changes to its promotion. Weinstein brothers, Bob and Harvey, are suing Warner Bros over its decision to divide The Hobbit into three films, which will mean they receive no payment from the second and third installments. 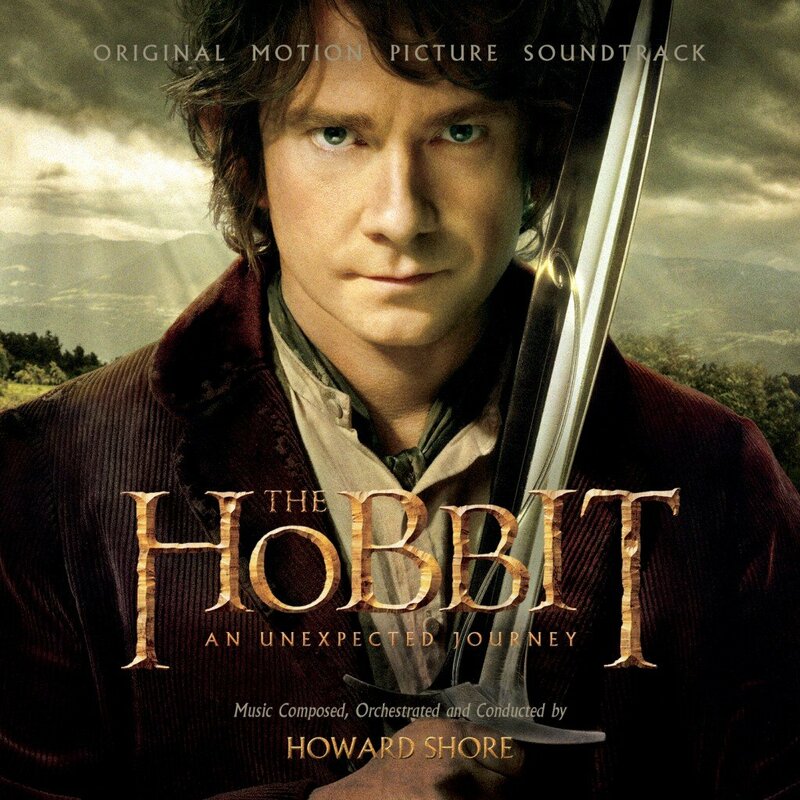 Miramax, founded by Weinstein brothers, sold its rights to The Hobbit to New Line, part of the Warner group, in 1998. New Line agreed to make payments for the “first motion picture” only. Bob and Harvey Weinstein claim the studio adapted the book into three films “solely to deprive plaintiffs” of agreed revenue. “This case is about greed and ingratitude,” said the Weinsteins and Miramax, in a complaint filed on Tuesday in New York State Supreme Court. The film producers are suing Time Warner Inc for at least $75 million, alleging Warner Bros’ decision to create a trilogy of films from JRR Tolkien’s standalone novel was a pretext to deprive them of 5% of the gross receipts from the last two films. A spokesman for Warner Bros accused the Weinsteins of “one of the great blunders in movie history”. “Fifteen years ago Miramax, run by the Weinstein brothers, sold its rights in The Hobbit to New Line. No amount of trying to rewrite history can change that fact,” said Paul McGuire. The second instalment of The Hobbit – The Desolation of Smaug, directed by Lord of the Rings director Peter Jackson, is due to be released worldwide on Friday. The first film, The Hobbit: An Unexpected Journey, was released in 2012 and grossed more than $1 billion. Warner Bros. have launched a new eBook range called Inside The Script, which includes classic hits Ben Hur and Casablanca. Available in the iBookstore for iPad, iPhone and iPod touch, and for the Amazon Kindle and Barnes & Noble’s Nook, the Inside The Script titles take classic movie scripts and expand them for the digital age. Other movies in the Inside the Script series will include An American in Paris and North by Northwest. The e-books include items such as the shooting script, production notes, storyboards and on-set photographs. “Now we can give fans rarely seen details of how these stories came together,” said Thomas Gewecke, Warner Bros. president of digital distribution. The Ben Hur e-book includes excerpts from Charlton Heston’s performance and shooting journals from the film sets. An American in Paris features a reproduction of the tickets to the film’s Hollywood premiere from MGM make-up artist John Truwe. 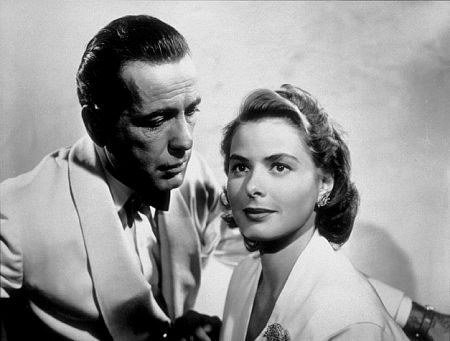 Casablanca includes a telegram from producer Hal Wallis relating to his row with studio mogul Jack Warner, who beat Wallis to the stage to accept the film’s Oscar for best picture in 1944. And Hitchcock’s North by Northwest includes costume sketches and composer Bernard Herrmann’s music notes. Whitney Houston’s The Bodyguard, one of the biggest box office hits of the 1990’s returns to movie theaters this month celebrating its 20th anniversary in a special one-night in-theater event on Wednesday, March 28 at 7:30 p.m. local time. Starring Kevin Costner and Whitney Houston, The Bodyguard became one of the most popular hits of 1992, marking Houston’s acting debut. Tickets for The 20th Anniversary of The Bodyguard event are available at participating theater box offices and online at www.FathomEvents.com. For a complete list of theater locations and prices, visit the NCM Fathom Events website (theaters and participants are subject to change). Presented by NCM Fathom Events and Warner Bros., The 20th Anniversary of The Bodyguard event will be broadcast to more than 400 select movie theaters across the country through NCM’s exclusive Digital Broadcast Network. “When originally released, the story and unforgettable songs of The Bodyguard, captured the hearts of audiences everywhere,” said Shelly Maxwell, executive vice president of NCM Fathom Events. Directed by Mick Jackson, Kevin Costner stars as a former Secret Service Agent-turned bodyguard who is hired to protect Houston’s character, a music star, from an unknown stalker. The bodyguard ruffles the singer’s feathers and most of her entourage by tightening security more than they feel is necessary. Eventually the bodyguard and the singer start an affair, and she begins to believe his precautions are necessary when the stalker strikes close to home. Warner Bros. will release The Bodyguard 20th Anniversary Edition Blu-ray™ on March 27. Special features include Whitney Houston’s well-known “I Will Always Love You” music video and “Memories of The Bodyguard,” a making-of documentary. Featuring director Mick Jackson, writer/producer Lawrence Kasdan, actors Whitney Houston and Kevin Costner and others, the cast and crew will discuss the story’s 17-year path to the screen, reworks of the script, how Jackson and Houston joined the production and more.